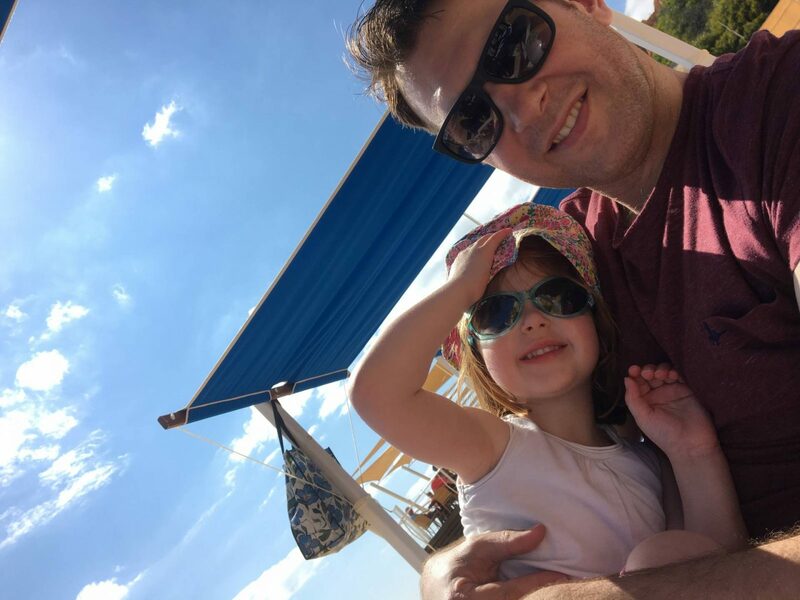 I have talked on my blog before about how I knew the minute I became pregnant with Alice that Andy was going to make a brilliant daddy and he continues to live up to this. He does pull his weight during the week, cleaning the kitchen, helping with bath and bedtime and most morning’s Andy is the one that gets up with Alice and Holly and gives them their breakfast. I do the night shift and he does the morning shift, it works for us. Both my girls adore their daddy and the second they hear the key in the door, they can’t get to him fast enough to wrap their arms around his neck. Little Holly can’t even wait for him to scoop her up and just cuddles his leg, before he lifts her up and snuggles her in tight. They are the reason he works as hard as he does, there is nothing he wouldn’t do for them. I know that if you had asked Andy before we had children if he wanted a son, his answer would have been yes, a son would be great to take to the football. But, now as a father to two girls, he wouldn’t change it for the world. There is something special about the relationship between a daddy and daughter, I love to sometimes be on the sideline watching them together. While Andy has been off work, he has 100% been daddy, there has been no sneaky look at work emails during the day. The out of office is on and it is staying that way until tomorrow morning. We have enjoyed time as the four of us and that has been so lovely. But he has also had times with the girls on their own. 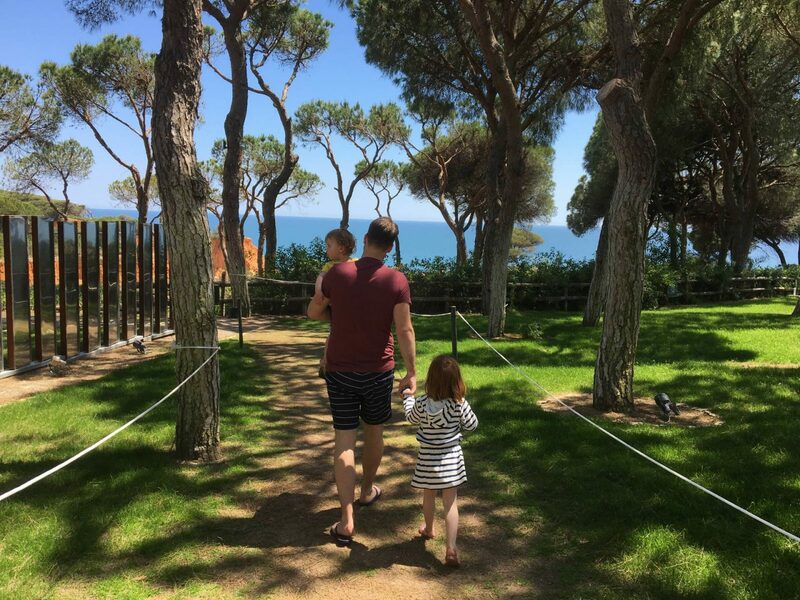 While Holly is napping, he has taken Alice to the park on our resort most days and it’s so lovely to see the two of them walk off together hand in hand. It’s these little things that mean so much to her. I think the biggest highlight for Alice has been in the swimming pool with her daddy. 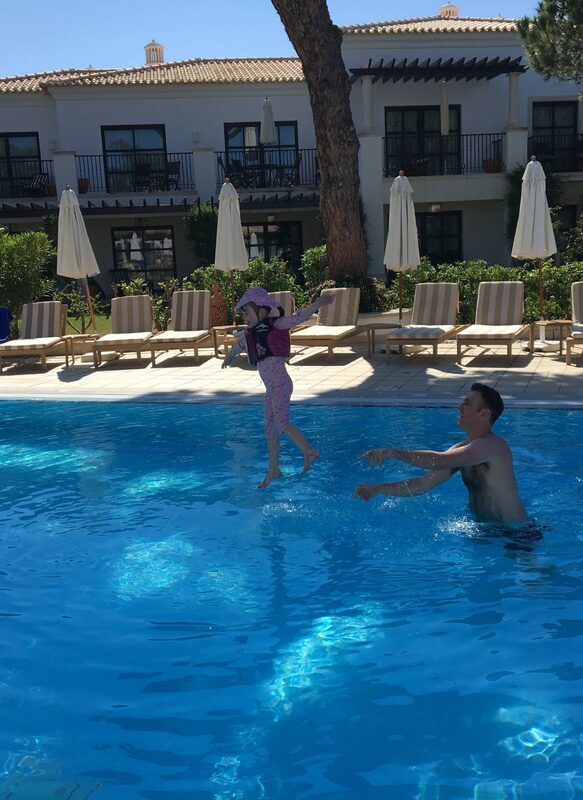 I have been taking Alice for swimming lessons since she was 14 weeks old and whilst we do go as a family too, this holiday we have been in the pool every day. She has just loved the one on one time with her daddy with him throwing her up in the air and her showing him how she can swim. I just adore watching them together. Then there is my little Holly and she is a daddy’s girl, every time he leaves the room she says’ where’s daddy?’ and when he come back, even if it was just to the toilet and no time at all. He is greeted with the biggest smile and ‘dadddyyyy back’. You would think she hadn’t seen him in a month! Andy spent ages in the baby pool with Holly, while she stood there tipping water over herself and laughing. She thought it was the best thing ever and to see them together melts my heart. As the week went on I could see Andy relaxing more and more and the girls really settling into having daddy home. Alice kept asking me if it was the weekend, because daddy was home. Andy has always been a bit nervous about taking both of the girls out together, but he has never stopped doing it and has got more confident about doing it as they have got older. I know that some of that come’s from me, he worries that because he isn’t with the girls as much as me, he is going to do something wrong. I try hard not to point it out when he does, but normally its slipped out before I can stop it. I will try harder, because really it doesn’t matter if Holly has her nap 10 minutes later than normal or if he gave them their snack too close to lunch. On our last afternoon while I packed the suitcases, he took the girls to the park, they didn’t even ask if I was coming, they were so happy to be going with their daddy. It’s the little moments too, siting with Holly reading her story after story, she loves a story. Playing hairdressers with Alice and letting her put clips in his hair, the joys of having daughters. Taking them outside after dinner and playing football before bath time, oh how I am loving the sunny evenings here. We will miss him next week, me because let’s be honest its nice to have an extra pair of hands and we do make a great team. But the girls will too, a week in their life can feel a lot longer than it does to us. We will fall back into our daily routine of the three of us and daddy going off to work. 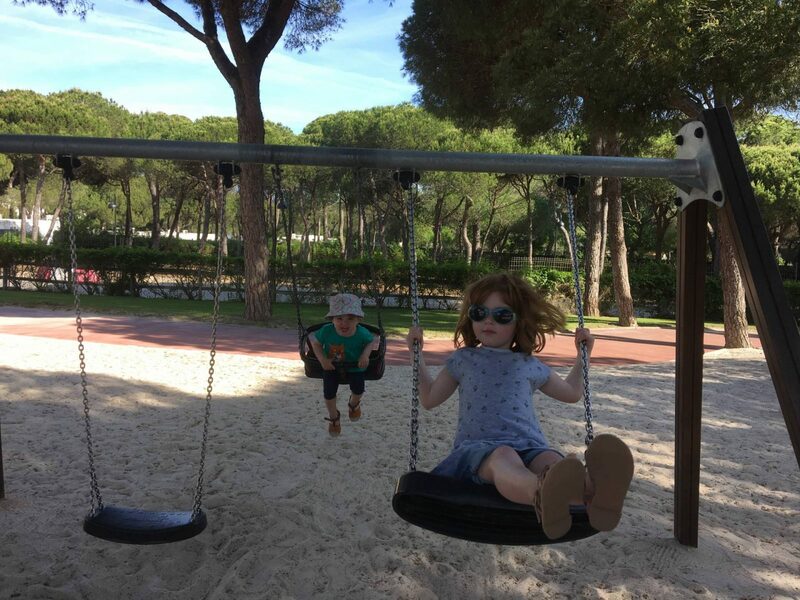 But for now I will just sit here and remember what a genuinely brilliant week it has been, in between the normal tantrums, sulks and squabbling…but they wouldn’t be children without them! How lovely. It’s great that he’s such a good dad, it’s lovely when they’re so involved. My husband is like that too, although it’s slightly different with his situation at the moment. 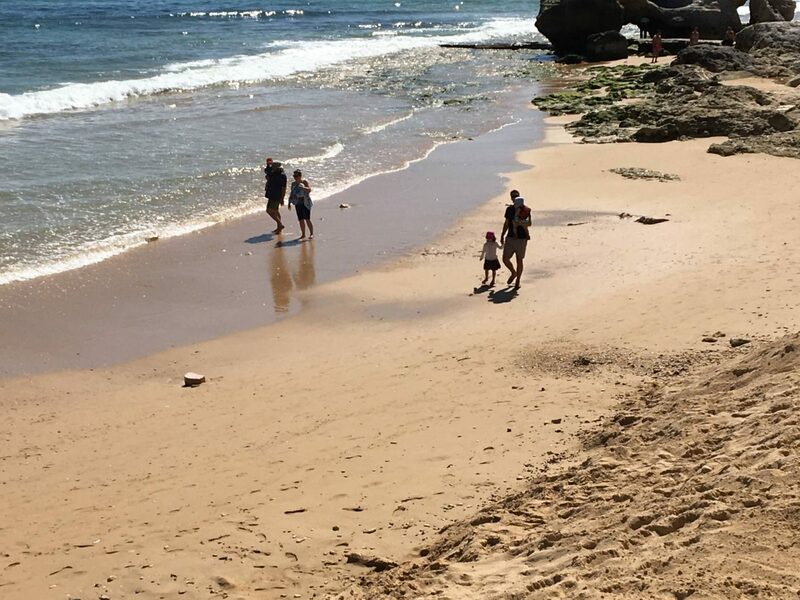 Hi Laura, it sounds as if you’ve enjoyed a wonderful family holiday in Portugal, and the pool looks empty, which is always a bonus when you have little ones. 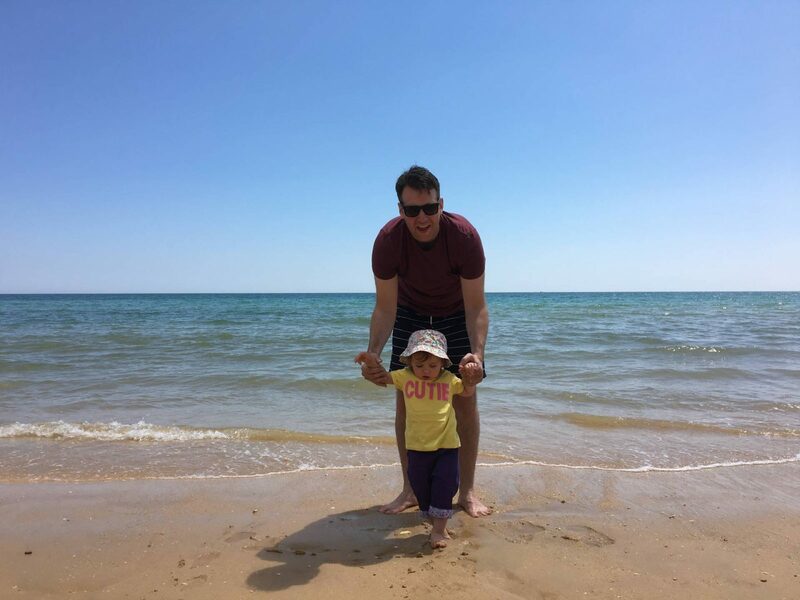 Alice sounds like she’s old enough to really enjoy playing with Dad,and any Dad who happily plays hairdressers with his little girl is bound to be missed when he goes back to work! Lovely post. I love seeing the relationship between my daughter and her daddy. Wrapped around her finger springs to mind LOL. Isn’t it wonderful to find a man thats so brilliant and a man that know what being a dad/father really means? So many men let down their kids, so many give men generally a bad name, and thats very sad because the reality is many families are blessed with incredible daddys! Looks like you had a great holiday and nice to get the time with the whole family. My OH refuses to take time off work to go away, so N’s only had 1 family holiday with his dad as well as me in 5 years! So sad for N and the OH missing out.